Dr. Lindsay Erickson has been restoring health and function to the people of the Conejo Valley. She got involved in Chiropractic Medicine because of the philosophy of the profession. It states,” The body has the innate intelligence to heal itself without the use of drugs or surgery.” It wasn’t until she was enrolled at Cleveland Chiropractic College that she experienced the true power of chiropractic. Dr. Erickson grew up in Northport, NY, a small town on the North Shore of Long Island. She was extremely active in swimming, sailing, soccer, and lacrosse. She grew up as a healthy child. It wasn’t until her freshman year of college that she began to suffer from bouts of strep throat. They continued all year and were accompanied by round after round of antibiotic treatments. Because Dr. Erickson and her family didn’t know about chiropractic then, she had surgery and her tonsils were removed. Dr. Erickson got to experience 2 months of good health. Then, she began to suffer from debilitating sinus infections. This became a chronic problem. Once she entered Chiropractic College she began to get adjusted on a regular basis and has not suffered another sinus infection. 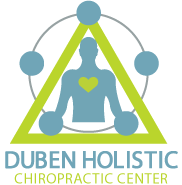 Dr. Erickson is an experienced Chiropractor with unique abilities to help her patients attain their health goals. She uses an out-of-the-box approach to help remove any interference that is preventing the full expression of the body’s health potential. Dr. Erickson uses Applied Kinesiology to assess the body as its own diagnostic tool, in conjunction with technology certified by the space foundation of NASA. She is a certified practitioner of NET (Neuro-emotional Technique). This technique identifies and helps you let go of “stuck” emotional patterns that can lead to physical symptoms. She also uses NRT (Nutrition Response Testing) to assess the body for nutritional deficiencies that can lead to disease. Call Dr. Lindsay today at 805-468-4437 to schedule an appointment.